Foundation is a staple in just about every girl’s makeup regime. Depending on your skin type and coverage requirements, you may not be using what’s best for your skin. Keep reading to find out more about this beauty essential! Most women reach for liquid foundation when looking for coverage. It is easy to apply, price is usually on point, and it provides a medium coverage. For those with oily/combination skin, reach for an oil-free formulation. For those with normal skin who are just looking to even skin tone, I suggest moving on to a tinted moisturizer for every day looks, and leave the foundation for evening and event looks. It will help your skin breathe better while still providing the evening effects you are looking for. o Lightly dab your brush into some poured liquid foundation that is about the size of a quarter. Dab – or stipple – the brush over the face until even coverage is achieved. The absolute best application type for those with acne or scarring. For those looking for a lighter coverage, look no further than tinted moisturizer! With SPF protection in most formulas, you get an extra bit of protection for your skin. I personally use this for an every day look – it leaves my skin looking a little ‘dewy’ which works for my dry skin. This is not, however, good for people with blemishes, oily skin or a lot of redness. It is also not recommended for event with photography, as the SPF will reflect in photos resulting in a washed out face. Powder foundations are more for women who want very slight coverage. What it is most often used for is to set existing foundation in place. Just take your favourite powder brush, then evenly and lightly apply the powder to your face over your foundation. We will explore finishing powders further in articles to come. Cream to powder foundation takes the ease of application and coverage of cream foundation and it dries/sets like a powder. A definite must have for those with combination skin. · Splurge: MAC Studio Tech (http://maccosmetics.com $35.50). This is my best and only recommendation for this foundation type. Mineral foundation provides comparable coverage to liquid foundation in many cases, though it can be very light and sheer depending on the formulation and application technique. You must always use a Kabuki brush for mineral foundation application. For more information, check out our Guide to Mineral Makeup here. Keep coming back to Habibi Halaqas for more information on brushes and application techniques. 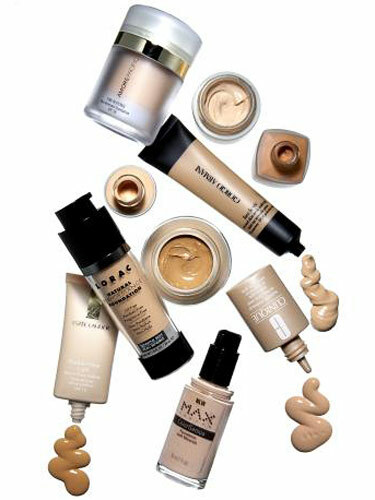 For even more information on foundation, check out our other Flawless Foundation article. Leave your questions below and I’ll do my best to get back to you! Until next time ladies, happy makeup-ing! hmm.... Muslim women most likely dont wear makeup isnt it? Actually,Islam encourages us wives to look our very best and beautify ourselves for our husbands. Unfortunately this is something that many don't understand or particpate in. This posting is to help those women who are seeking out best to please their husbands and do it in a halal setting. Most Muslim women I know love to wear makeup within a halal setting. Not out in public. I applaud these sisters that are coming together and are writing about these issues. These a real issues that need to be talked about. There are many hadith where is talks about how the Prophet's (SAW) wives used to beautify themselves for him. So are we not suppose to do this for our husbands? I agree with the above comment. Rather than putting on makeup to go out, we as Muslimahs save it for our husbands and sisters-only events. There is definitely nothing wrong with that. There are hadith that mention the Prophets (pbuh) wives applying kohl. 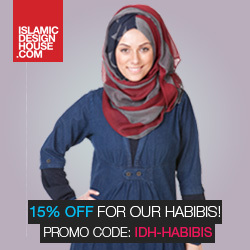 Does HabibiHalaqas not have a policy on recommending only halal products? I will do my best to verify cosmetics to the best of my abilities going forward. The next few articles are already finished, however, in the next section I will keep this more in mind. JazakAllah Khayr for the reminder! I suggest you check out a very good company that, although does not have a halal certification, only uses natural products. They are called Southern Magnolia Minerals Cosmetics or SMMCosmetics. I really like using their products to beautify myself for my husband. :) If enough people request, we may even be able to get their products certified. What I love about that company is that their products are very healthy for the skin & even those who have very sensitive skin have been able to use it.